You can use your car, or rent one of ours. Our fleet includes: Ford Fiesta, Ford Focus RS, Subaru Impreza (manual and automatic), Subaru Impreza WRX, Subaru Impreza WRX STi, Mitsubishi Evo X (track spec), championship-winning rallycross car (4WD turbo), a championship-winning Production Class rally car (4WD turbo), and a championship winning Open Class rally car (4WD turbo). Move vids from 2014 are still coming, check back for updates, or click here to subscribe directly to the channel. I’ve been chosen for the Drive DMACK Fiesta Trophy! Remember all my WRC dreams, discussions and plans? We made it! 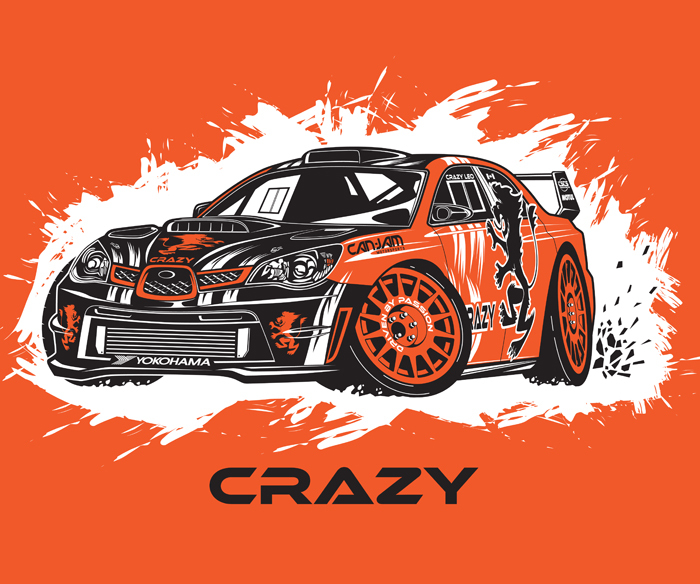 It’s one of the coolest ways to get into the top level of rally sport! I’m very proud to have been selected for the 2014 Drive DMACK Fiesta Trophy. 5 European rounds in 2014: Portugal (3–6 April), Poland (27–29 June), Finland (HOOAH!) (1–3 August), Germany (22–24 August) and France (3–5 October). It’s important that we’re going to be doing the full mileage of each event, unlike the Junior World Rally Championship, or the WRC Academy run previously. We will be taking on the world in the front wheel drive Ford Fiesta R2s. The title sponsor of the Trophy is DMACK Tyres; M-Sport (UK) is going to take care of the cars. The competition is very strong and experienced, including Tom Cave, Jose Suarez, and Quentin Gilbert, as well as Max Vatanen, the son of WRC legend Ari Vatanen. The prize is 7 rounds in an R5 Fiesta in 2015. However, we are being realistic about our chances – I have no WRC or front wheel drive experience. So it’s going to be all about getting experience, making good pacenotes for the future and HAVING A BLAST! I’ve always said that the impossible takes a little longer! And now the dream comes true! MASSIVE thank you to Can-Jam Motorsports, Tim O’Neil Rally School, and all other sponsors (will announce in due time), and – my favorite – our awesome fans and friends for their huge support on all the levels! I wouldn’t be anywhere near this opportunity without you! I LOVE YOU PEOPLE!!! Very much deserved praise goes to DMACK and M-Sport for making this amazing opportunity possible, and for choosing me as one of the drivers! This Trophy is a wonderful opportunity for new or inexperienced people to get into the top level of the sport and measure themselves against some of the best! Same cars, same tires, a top team, great rallies, and a super desirable prize! I am extremely proud to be flying a Canadian flag in the World Rally Championship!!! Amazing stuff, eh!? I thank you for your huge support and patience. As you know, there is a lot of new stuff that we have been working on for most of 2013. Mainly, my WRC debut in 2014 and a career plan, that is looking into my future within the awesome sport of World Rallying! We will announce the plan, and launch my new website at the end of March. Meanwhile, please head to my twitter and facebook to keep updated with daily craziness! An awesome rendering of “The Beast” created by one of the best designers alive, our own Torontonian, Matthew Law. As last year we won arguably the most challenging rally in North America, I was going to write about how awesome our team is, but then I realized that only my mom would read that, so I changed my mind. A much better story would be to talk about a small miracle performed by a Toronto based production company, TV2GO. 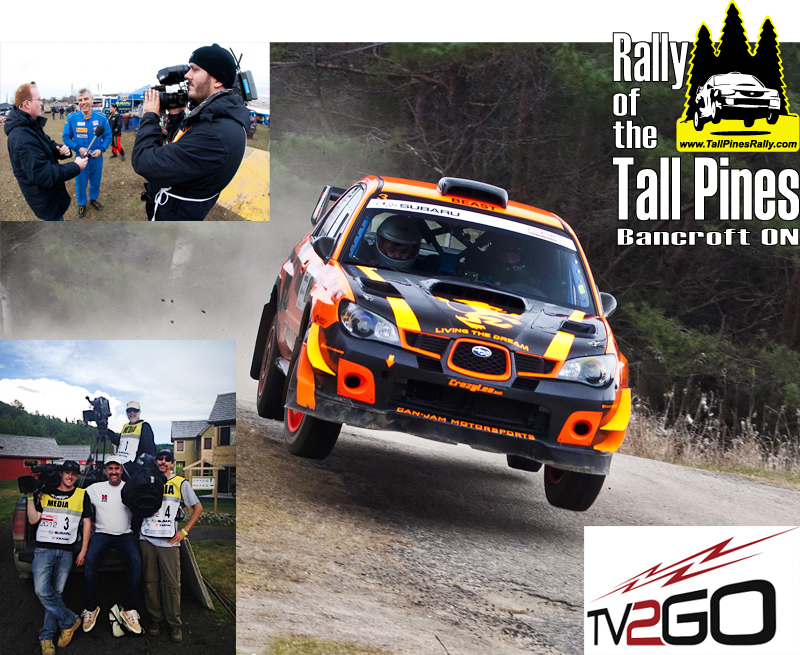 For years they have been behind awesome TV shows covering rounds of the Canadian Rally Championship on TSN and RDS.